On Sunday, some 15 million viewers are expected to tune into the eighth and final season of Game of Thrones (GOT). More than a show–Game of Thrones has become a part of our cultural zeitgeist. There are GOT Oreos, Stark family underwear and for $19.98 you can buy a wall decal that turns your toilet into the iron throne. I have a bottle of GOT wine that I’ve been “aging” for sixteen months awaiting season eight. If content is king, it’s hard to overstate how valuable this programming crown jewel has been to HBO and Time Warner — and now AT&T — since it premiered in April 2011. A brand of its own, the show’s success has overshadowed another, perhaps even more impactful innovation that came four years later — when they launched HBO NOW. After more than four decades of exclusively relying on the Comcasts of the world to sell their product, NOW gave HBO a direct conduit to the customer. More importantly, it provided access to a consumer segment long-regarded with as much fear and skepticism as the white walkers from GOT: cord cutters. Once a tiny crop of outliers, cord cutters are poised to become 40 million strong this year, and are expected to continue to grow at a double digit clip for at least the next several years according to eMarketer. We didn’t know in 2015 how much or how fast TV would change, but the writing was on the proverbial wall. HBO saw where demand was headed and took action. Launching an Over-the-top (OTT) direct-to-consumer service may seem obvious in hindsight; but four years ago it was pioneering, reflecting an adept understanding of shifting consumer demand. Netflix and Hulu were the only nobles of the streaming realm until HBO NOW re-wrote the rules and showed that traditional networks could play this game too. Is there a single traditional media player that hasn’t spent hours in the boardroom framing up their own OTT play in the time since? HBO NOW may not have won any Emmys (GOT has plenty), but it’s given HBO an innovative growth platform to access a broader audience across more screens. As the new season unfolds this month, somewhere in the range of eight million NOW streamers will be able to access the seven kingdoms wherever and however they feel like watching — on their phones, laptops and Apple TVs. Like many, I’ve been re-watching prior seasons of GOT to get ready for the finale. The second time through, you realize the importance of things that happened in the early seasons, like the hints and clues that were dropped even in Season 1 that pointed to Jon Snow’s origin story. We didn’t know in 2015 how much or how fast TV would change, but the writing was on the proverbial wall. HBO saw where demand was headed and took action, earning a coveted spot in the consumer’s app library before it became littered with dozens of look-alike competitors. 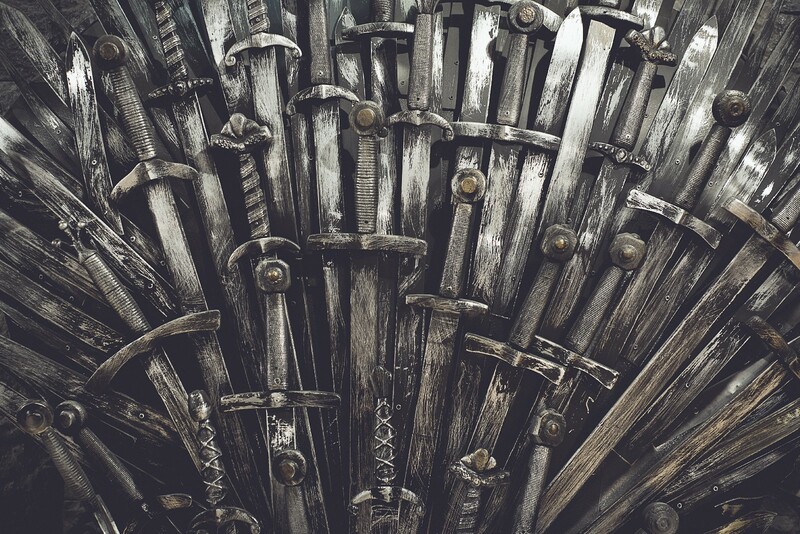 To paraphrase the oath of the Night’s Watch: HBO NOW may wear no crowns and win no glory, yet it is the shield that guards the realms of cord cutters. As night gathers Sunday, and our collective watch begins, I will uncork my GOT wine and eagerly devour the premiere on a platform we now take for granted. While creating killer content remains their calling card, HBO’s decision to enter the OTT fray early and decisively may prove to have just as great an impact on the company’s long-term fortunes, helping to keep an iconic brand fresh and relevant in the golden age of streaming.